Our textiles studio occupies a lovely well-lit space with windows onto Front Street, plus a space facing the back with views of Mt. Baker. Weavers, spinners, felters and knitters gather here for classes, workshops or individual projects. 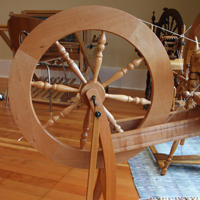 We are well equipped with various styles of looms and spinning wheels for use in classes and available for in-studio rentals and are currently outfitting a dye studio downstairs for spring classes. The studio is a friendly and fun place to express your creativity and learn new skills in great company. SpiNit: spinning and knitting with Chris Paul and Cynthia Poppe. This is a drop-in group every 1st and 3rd Thursday of the month from 6:00 PM – 8:00 PM. Outside of the demands of current classes and workshop taking place at the J, there may be looms available to rent in the studio. To rent a loom, please contact textiles@jansenartcenter.org. The Textiles Studio hosts special exhibits, workshops with visiting instructors, and fundraising events throughout the year. 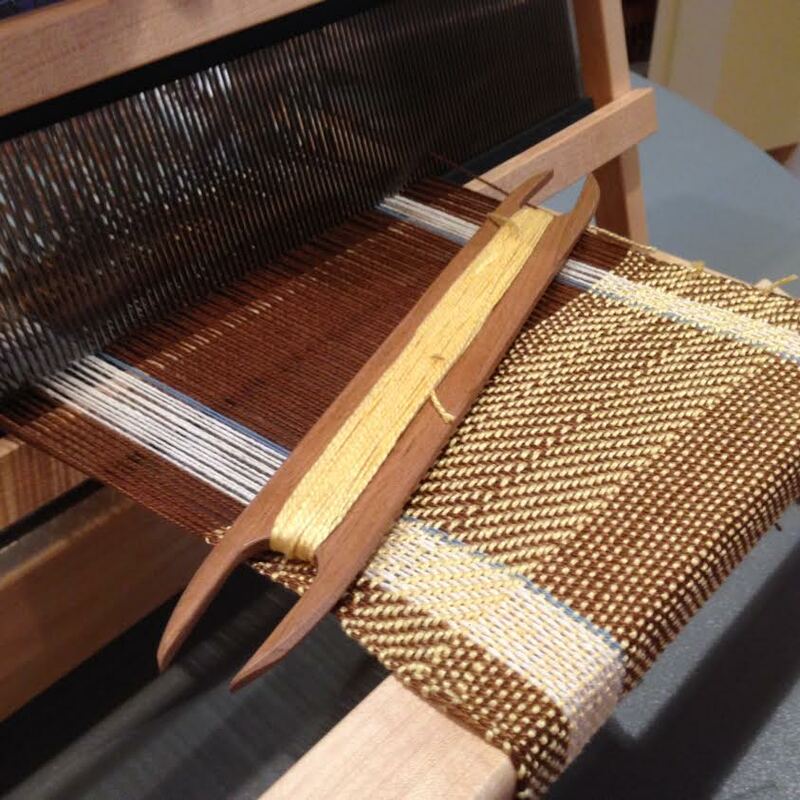 Each October, the studio partners with the Whatcom Weaver’s Guild to host the Fibers & Beyond Conference and Sale. “Summer and Winter” is a traditional weave that is used for runners, clothing, blankets, rugs and more. It’s called Summer and Winter because it makes a reversible cloth, traditionally with one side light colored, the other dark. This is just one of a five-part weaving series, which includes Summer and Winter, Twill, Color and Weave, Overshot, and Lace Weaving, with Sheri Ward. Explore color and design using simple weave structures, textures, and a pattern stick. 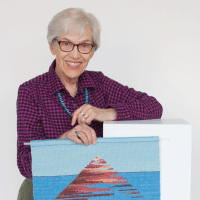 Rigid Heddle Weaving is the perfect class for the beginning weaver, hand-spinners, and knitters. The Alley Workshop is a large multi-purpose room on the lower floor. This amazing workspace now accommodates basketry, felting, and the new Dyeing programs. With large sinks, heavy-duty work benches and access to a covered patio, the Alley Workshop can accommodate any discipline that needs a lot of space and has surfaces that allow for a mess. 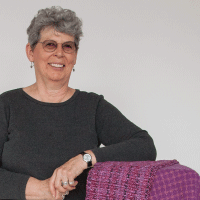 Marcia Ford is a lifetime Whatcom County resident with particular interest in weaving, re-use, and artistic creation. Donna Hunter has tried her hand at every textile medium imaginable but fell in love with felt making when she took a class in 1995. 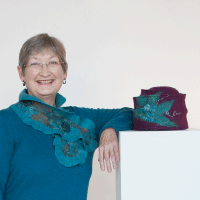 She has been teaching felt making since then – more frequently now in her retirement from Audiology. She also attends felting classes given by internationally known felters at weavers and spinners conferences. 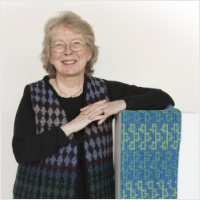 Donna has been a member of the Whatcom Weavers Guild and the Peace Arch Weavers in Canada since 1985 and has served as President and other positions for both Guilds. She teaches in her studio near Blaine and now at the Jansen Art Center. As a child growing up in Michigan, Joyce was encouraged in her art expression when a teacher loaned her his oils for a time and the love of creative expression was caught. She accomplished a BA in Art and Education with advanced textile work from the University of Michigan. Joyce maintained an active weaving clientele and galleray co-ownership in Michigan before moving to Colorado. Gifted and Talented post graduate work for the University of Northern Colorado gave opportunities to study in Taos and Santa Fe, New Mexico with artists, writers and storytellers during 2 consecutive summers of Joyce’s 17 years of classroom teaching. In retirement, pastel painting and textiles both gain radiant colors as landscapes of Colorado. 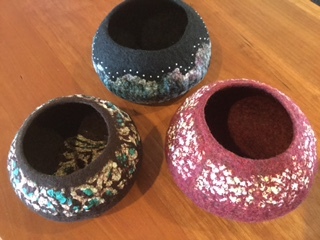 Workshops include those with Tony Ortega, Jan Meyers, Susan Olgilvie, Susan Bennerstrom and several tapestry teachers. 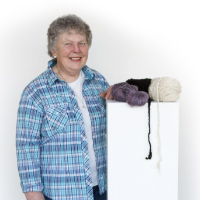 Joyce has participated in weaving guilds and conferences in MI, CO, and WA. Acting as president in MI and now in the Whatcom Weavers Guild as Education Outreach advisor. I learned to spin in 1980 through the classes at the Roeder Home. Since then, I have taught classes in my home to many people, taken workshops from well known instructors at weaving and spinning conferences,judged some wool shows, and had a 4-H club of young girls which was focused on spinning. They all had their own wheels and we demonstrated at different events. I have belonged to the Peace Arch Spinners and Weavers Guild and also the Whatcom Weavers Guild but am not a member of either at this time. I spin my own yarn for knitting and weaving and find it a very relaxing and enjoyable hobby. Creating a finished product from raw material is very satisfying and I love to share that experience with others!